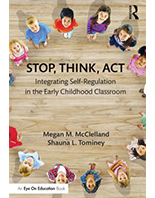 But can a child’s ability to self-regulate be improved? 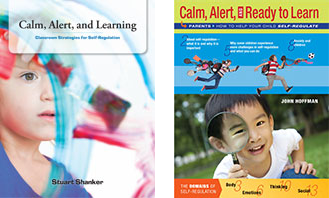 Canada’s leading expert on self-regulation, Dr. Stuart Shanker, knows it can and that, as educators, we have an important role to play in helping students’ develop this crucial ability. Distinguished Research Professor at York University and Past President of the Council for Early Child Development, Dr. Shanker leads us through an exploration of the five major domains—what they are, how they work, what they look like in the classroom, and what we can do to help students strengthen in that domain. Children, especially young children, are just beginning to understand and manage their behaviours and emotions. 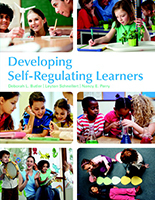 As teachers, you are already developing these self-regulation skills in your classroom. 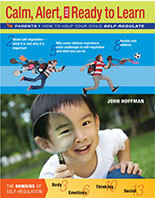 Parents can also help their child learn these valuable abilities and skills. That’s why we developed Calm, Alert, and Ready to Learn, a booklet that provides information, tips, and strategies on self-regulation. 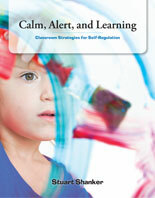 It is based on a best-selling book Calm, Alert, and Learning: Classroom Strategies for Self-Regulation, written by Dr. Stuart Shanker. 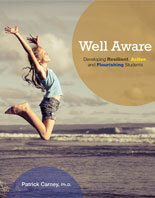 Please email schoolinternational_canada@pearsoned.com for information on how to order.